Transplant recipients necessitate lifelong immunosuppression to avoid organ rejection and increase survival. As a result of enhanced survival, development of cancer is becoming a major cause of morbidity. , Although the late consequences of renal transplant are likely to be underreported, it is known that the overall incidence rate of cancer in renal transplant recipients (RTRs) is at least three to fivefold higher when compared to the general population with similar age and gender distribution. Therefore, estimation of the prevalence of HPV, mainly HR-HPV genotypes, in female RTRs is important to formulate strategies of prevention and screening of cervical cancer in this susceptible group. The objective of this study was to provide a systematic review to evaluate the prevalence of HR-HPV cervical infection and cervical intra-epithelial neoplasia (CIN) in female kidney graft recipients in comparison to healthy controls. The prevalence of HPV was clearly stated. Eligible studies were identified by searching the following databases: PubMed, Embase, Web of Science, and Google Scholar between 1984 and 2015. The studies were identified by a literature search of the databases using the following medical subject heading terms and/or text words: "HPV," "renal transplant," "prevalence," and "cervical lesions." The reference lists of the identified publications were reviewed for additional pertinent studies. No language restrictions were imposed. Two researchers searched for articles published prior to March 2015. After searching the databases, 5515 potentially relevant papers were identified, of which, 5481 were excluded: 5269 after reviewing the title and 212 after reviewing the abstract. One study was included after reviewing the references. Thus, 35 papers met the search criteria, of which seven articles were excluded for repetition of reporting. In the end, 28 papers were evaluated using the Newcastle-Ottawa scale,  of which, 23 were excluded [Figure 1]. The Newcastle-Ottawa scale evaluates the quality of cohort studies; articles that score higher than five have "high methodological quality." Two researchers independently applied the scale, and a third researcher resolved any discordance. Various study characteristics were extracted from the original studies and included in the systematic review. The data included the first authors' last name, the year of publication, the country, the study design, the number of patients enrolled, if the studied population had a control and the mean age of transplant population [Table 1]. The results of the selected studies are summarized in [Table 2] and [Table 3]. We found a great methodological heterogeneity between the articles, with significant differences in demographic characteristics of the populations studied and size of cohorts. The mode of HPV detection also varied among the studies. The polymerase chain reaction (PCR) was the main form of diagnosis, but other methods, such as HPV hybrid capture and cytomorphologic evaluation, were also used. Below, we point out the relevant results of each of the eligible studies. Alloub et al, 1989,  was the first study to compare women with renal allografts and matched controls. They recruited 49 women who underwent kidney transplantation, in the same period, 69 women were recruited as controls. The histological findings showed a significantly higher prevalence of CIN in women with renal grafts 24 (48.5%) compared to 7 (10%) among controls (P < 0.0001). There was no significant difference between the groups in the rate of detection of total HPV DNA (45% in the women with allografts compared with 38% in the controls), the detection of type 16/18 HPV infection (both HR-HPV), however, was significantly higher among women with allografts compared with the controls (27% vs. 6%, P < 0.005). Fairley et al., 1994,  assessed the prevalence of HPV DNA in women who received a renal transplant and compared this result with women who had renal impairment or were under dialysis. Only one woman (4.5%) of the renal impaired group had evidence of HPV DNA, while 18 (20%) of those on maintenance dialysis and 15 (22%) of the transplant patients were positive (P = 0.07 and P = 0.05, for renal impaired compared to dialysis and transplant groups respectively). This study also evaluated the presence of cervical abnormalities among the three groups. No abnormalities were present in the renal impaired population, but 11 of 89 (12.4%) on maintenance dialysis and 9 of 69 (13%) transplant patients had cytological abnormalities (P = 0.08 and P = 0.07, for renal impaired compared to dialysis and transplant group, respectively). Morrison et al., 1996,  analyzed a small population of immunosuppressed RTRs. None of the 21 women included had CIN detected at the time of their examination, however, three women had previously been diagnosed with CIN, and when these cases were taken into consideration, the rate of CIN in this cohort was similar to that reported by other investigators. A single woman, who had prior history of CIN and vulvar condyloma acuminata, had a novel HPV type detected by PCR. The remaining 20 patients tested HPV negative. Pietrzak et al., 2012,  collected samples from 60 kidney graft recipients and 60 healthy women. HR-HPV infection was diagnosed in 11 (18.3%) patients in the transplant group and in 15 (25%) patients in the control group, indicating a comparable infection rate between the two groups (P = 0.37). On initial screening, among the HR-HPV infected women, positive smear results were detected in two kidney graft recipients and in two healthy women. Colposcopy-guided cervical biopsy revealed that all cases were CIN2 + . However, of note, even though it was not an objective of this study, after 24 months of follow-up it was established that the rate of clearance of HR-HPV infection in the uterine cervix was similar in both groups. Aggarwal et al., 2014,  collected cervical samples from 40 female RTRs and 80 controls. There was no evidence of cervical dysplasia or neoplastic change in any Pap smear More Details. HPV was detected in 32.5% (13/40) and 17.5% (14/80) of cases and controls, respectively (P = 0.18). The HPV genotypes 16 and 31 were the most commonly observed (38.5%), followed by HPV 18 (30.7%). In controls, HPV 16 was the most common subtype (71.4%). There are relatively few publications dealing with the prevalence of CIN and HPV infection in the population of transplant recipients, and the current available studies demonstrate important methodological differences. Because of this, it was impossible to build a meta-analysis using the results of the selected articles. Another problem is the small number of patients enrolled for the transplant group, which may underestimate the true prevalence of HPV infection in this population. Studies conducted by Anderson et al., Bruni et al. and de Sanjosé et al., ,, involving more than 1 million women in the five continents, where 18.1%, 11.7%, and 10.4% of the study population was infected by HPV, show a lower prevalence of this infection in nontransplanted women. However, we cannot compare these results with those found in the studies included in this review, as there are differences in the sample population studied, in the diagnostic methods used to detect the virus and in the populations studied with regard to sexual behavior and lifestyle habits. Finally, in few studies that could be included in this systematic review, there is little information about number of partners, smoking habit or whether there was HPV vaccination in the study groups. These factors are known to influence the increase or decrease in the prevalence of HPV infection. Therefore, new observational studies with larger numbers of transplanted women, proper design and control of these biases are needed to see if among this population, the prevalence of HR-HPV infection and CIN is greater. To conclude, new studies have shown that female kidney transplant recipients do not seem to have a higher risk of developing HPV infection and CIN during long-term immunosuppression therapy. These results were quite unexpected and unusual in the scenario of the correlation between immunological impairment and viral infection. Because of this, further studies are important to finally determine the actual prevalence of HPV infection, the role of immunosuppression on HR-HPV infection and cervical lesion development among RTRs. Aggarwal R, Suri V, Awasthi S, Naru J, Nijhawan R, Minz M, et al. Prevalence and genotypes of HPV in female renal transplant recipients in North India. Int J Gynecol Pathol 2014;33:537-42. Hinten F, Meeuwis KA, van Rossum MM, de Hullu JA. HPV-related (pre)malignancies of the female anogenital tract in renal transplant recipients. Crit Rev Oncol Hematol 2012;84:161-80. Penn I. Occurrence of cancers in immunosuppressed organ transplant recipients. Clin Transpl 1998:147-58. London NJ, Farmery SM, Will EJ, Davison AM, Lodge JP. Risk of neoplasia in renal transplant patients. Lancet 1995;346:403-6. Birkeland SA, Storm HH, Lamm LU, Barlow L, Blohmé I, Forsberg B, et al. Cancer risk after renal transplantation in the Nordic countries, 1964-1986. Int J Cancer 1995;60:183-9. Buell JF, Gross TG, Woodle ES. Malignancy after transplantation. Transplantation 2005;80 2 Suppl:S254-64. Yildirim Y, Ozyilkan O, Emiroglu R, Demirhan B, Karakayali H, Haberal M. Early diagnosis of cancer in renal transplant patients: A single center experience. Asian Pac J Cancer Prev 2006;7:336-9. Domhan S, Zeier M, Abdollahi A. Immunosuppressive therapy and post-transplant malignancy. Nephrol Dial Transplant 2009;24:1097-103. Park ST, Song MJ, Park JS, Hur SY, Lee CW. Incidence and clinicopathologic behavior of uterine cervical carcinoma in renal transplant recipients. World J Surg Oncol 2011;9:72. Paternoster DM, Cester M, Resente C, Pascoli I, Nanhorngue K, Marchini F, et al. Human papilloma virus infection and cervical intraepithelial neoplasia in transplanted patients. Transplant Proc 2008;40:1877-80. Petry KU, Scheffel D, Bode U, Gabrysiak T, Köchel H, Kupsch E, et al. Cellular immunodeficiency enhances the progression of human papillomavirus-associated cervical lesions. Int J Cancer 1994;57:836-40. Nappi L, Carriero C, Bettocchi S, Herrero J, Vimercati A, Putignano G. Cervical squamous intraepithelial lesions of low-grade in HIV-infected women: Recurrence, persistence, and progression, in treated and untreated women. Eur J Obstet Gynecol Reprod Biol 2005;121:226-32. Sillman FH, Sentovich S, Shaffer D. Ano-genital neoplasia in renal transplant patients. Ann Transplant 1997;2:59-66. Ho GY, Bierman R, Beardsley L, Chang CJ, Burk RD. Natural history of cervicovaginal papillomavirus infection in young women. N Engl J Med 1998;338:423-8. 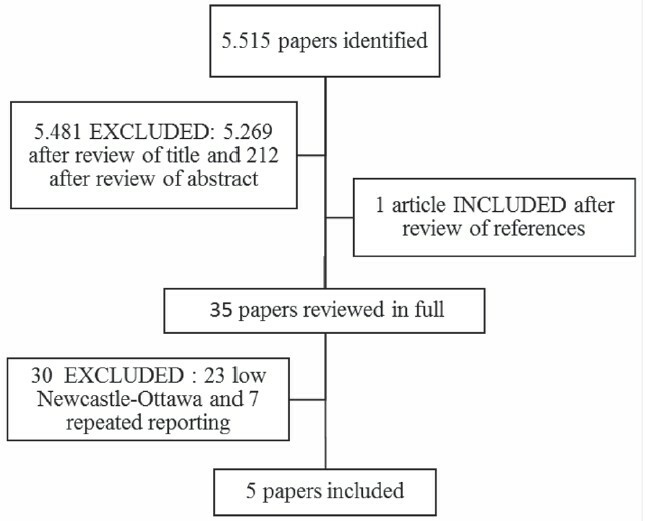 Lo CK, Mertz D, Loeb M. Newcastle-Ottawa Scale: Comparing reviewers' to authors' assessments. BMC Med Res Methodol 2014;14:45. Alloub MI, Barr BB, McLaren KM, Smith IW, Bunney MH, Smart GE. Human papillomavirus infection and cervical intraepithelial neoplasia in women with renal allografts. BMJ 1989;298:153-6. Fairley CK, Chen S, Tabrizi SN, McNeil J, Becker G, Walker R, et al. Prevalence of HPV DNA in cervical specimens in women with renal transplants: A comparison with dialysis-dependent patients and patients with renal impairment. Nephrol Dial Transplant 1994;9:416-20. Morrison EA, Dole P, Sun XW, Stern L, Wright TC Jr. Low prevalence of human papillomavirus infection of the cervix in renal transplant recipients. Nephrol Dial Transplant 1996;11:1603-6. Pietrzak B, Mazanowska N, Ekiel AM, Durlik M, Martirosian G, Wielgos M, et al. Prevalence of high-risk human papillomavirus cervical infection in female kidney graft recipients: An observational study. Virol J 2012;9:117. Origoni M, Stefani C, Dell'Antonio G, Carminati G, Parma M, Candiani M. Cervical Human Papillomavirus in transplanted Italian women: A long-term prospective follow-up study. J Clin Virol 2011;51:250-4. Bertuccio MP, Spataro P, Caruso C, Picerno I. Detection of human papillomavirus E6/E7 mRNA in women with high-risk HPV types 16, 18, 31, 33 and 45 which are associated with the development of human cervical cancer. Eur J Gynaecol Oncol 2011;32:62-4. Anderson L, O'Rorke M, Jamison J, Wilson R, Gavin A; HPV Working Group Members. Prevalence of human papillomavirus in women attending cervical screening in the UK and Ireland: New data from northern Ireland and a systematic review and meta-analysis. J Med Virol 2013;85:295-308. Bruni L, Diaz M, Castellsagué X, Ferrer E, Bosch FX, de Sanjosé S. Cervical human papillomavirus prevalence in 5 continents: Meta-analysis of 1 million women with normal cytological findings. J Infect Dis 2010;202:1789-99. Levi F, Lucchini F, Negri E, Franceschi S, la Vecchia C. Cervical cancer mortality in young women in Europe: Patterns and trends. Eur J Cancer 2000;36:2266-71. EBPG Expert Group on Renal Transplantation. European best practice guidelines for renal transplantation. Section IV: Long-term management of the transplant recipient. IV.6.3. Cancer risk after renal transplantation. Solid organ cancers: Prevention and treatment. Nephrol Dial Transplant 2002;17 (Suppl 4):32, 34-6. Kasiske BL, Vazquez MA, Harmon WE, Brown RS, Danovitch GM, Gaston RS, et al. Recommendations for the outpatient surveillance of renal transplant recipients. American Society of Transplantation. J Am Soc Nephrol 2000;11(Suppl 15):S1-86. Wong G, Howard K, Webster A, Chapman JR, Craig JC. The health and economic impact of cervical cancer screening and human papillomavirus vaccination in kidney transplant recipients. Transplantation 2009;87:1078-91.